Top cosmetic dentistry in Mumbai, India. Kadali Dental is a premium cosmetic dentist and the preferred dentist to local celebrities. Family dental practice in Mumbai. At Kadali Dental, we provide cosmetic and general dentistry at affordable rates. When our dentists provide a quote, especially for our overseas patients who are coming to India for more affordable dental treatment, you can be assured that there will be no hidden costs for your treatment. The amount quoted to you is the amount you pay at Kadali Dental for your treatment. Check out our reviews to see what our patients are saying about us. 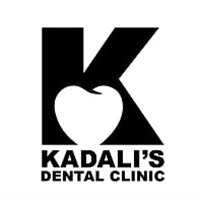 Kadali Dental has been in practice for more than 15 years and our reputation speaks for itself. Visit us or call us today to arrange your consultation.